We Are professional repairing center for AC drices. we have team of expert egnineers, with backup of excellent workshop facility to repairing any make ac drives,serv drives in minimum of time. our team of expert exgineers ,specially trainned for repairing of ac drives meet your requirement of ac drives repairing in minimum of time. also we have inhouse full load testing facility at our workshop to test ac drives after repairing for satisfactory performance which ensure satisfactory reapiring of ac drives and servo system to our valuable customers. we reaipre all make of ac drives like,ABB AC drives,Allan Bradley AC drives,Yaskawa ac drives, Fuji AC drives,Danfoss AC drives, Mitsubishi ac drives, KET make ac drives,Adlee power Make AC drives, PTS make ac drives, TB wood make ac drives ,Schneider make ac drives and many more ac drives in minimum of time. 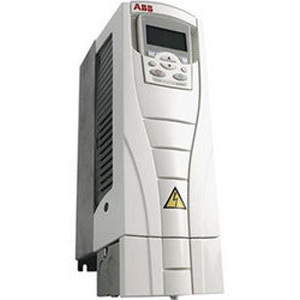 Our customers can buy from us a wide range of ABB AC Drives Repairing Center. This range of ABB AC drives repairing center is best suited in the market for textile, printing, rubber & plastics, food & beverage, material handling and woodworking applications. Along with this, the offered range is known in the industry for its durability, easy installation, and corrosion resistance. We are Repairing center for Ac Drives like PTS,Data,Yaskawa,Allen Bradley,Qma Servo Drives,Variable Frequency Inverters,AC Variable Frequency Inverter,PID Control Frequency Inverter,Variable Speed Frequency Inverters,AC Frequency Inverters,Solar Inverter,Variable Drive,Variable Frequency Drives,Siemens AC Drives,Yaskawa AC Drives,KEB Combivert AC Drives,AC Motor Drive,QMA AC Drive,Variable Frequency AC Drive,QMA Servo Drives,Delta AC Drives,KEB AC Drive,Fuji AC Drives,Adlee Power AC Drive,Induction Motor Speed Controller,Variable Speed Drive,Adjustable Speed Drive,ABB AC Drives,Yaskawa Servo Drives,Teco AC Drives,ABB AC Drives Repairing Center,Industrial AC Drive,Telemecanique AC Drives,Variable Frequency Motor Drive,Allen Bradley AC Drive,Rich Eric AC Drive,Vacon AC Drive,AC Drives,LG AC Drive,Omron AC Drives,Toshiba AC Drive,Toyo Deinki AC Drive,Altivar AC Drives,F7 Yaskawa AC Drives,CH2000 Delta AC Drives,Baldor AC Drive,Mitsubshi AC Drives,QMA Q9000 Drive. We have Excellant Workshop facility with team of expert enginers speciality trained for raparing of Ac Drives.Also we have full load testing facility to test Ac Drives after repairs.we repaire Drives in minimum time. - Oil and gas industry.